President Gregory D. Hess announced the appointment of Alan P. Hill as Dean for Professional Development at Wabash College. In this role, the veteran higher education administrator will oversee the Schroeder Center for Career Development, and the Center for Innovation, Business, and Entrepreneurship, while assuming the duties of Director of the Malcolm X Institute of Black Studies (MXIBS). 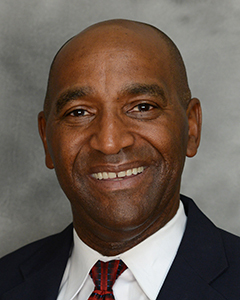 Hill boasts nearly 30 years of experience in higher education and comes to Wabash from Franklin College, where since 2000, he has served as Vice President for Enrollment and Student Affairs and, more recently, as Vice President of Enrollment and Marketing. A 1981 graduate of DePauw University, he also earned his master’s degree from DePauw before beginning his career in marketing with IBM. He spent a decade at DePauw in positions with the Provost’s office, admissions, financial aid, and student life. He left DePauw to become Vice President of Enrollment and Student Affairs at Alma College in Michigan. Since 2000, he has served Franklin College as Vice President for Enrollment and Student Affairs and, more recently, as Vice President of Enrollment and Marketing. Hill will begin his tenure at Wabash on July 1.